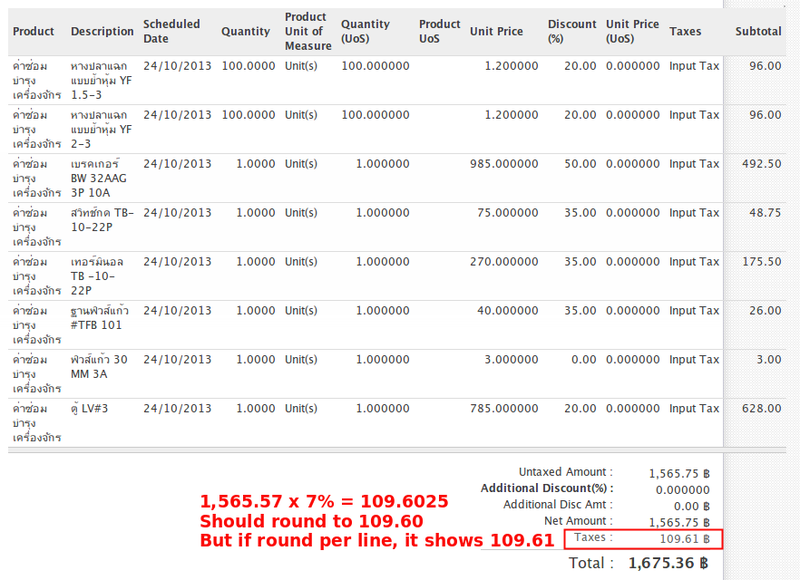 In OpenERP, the Tax calculation rounding method in e.g., SO/PO/INV have 2 rounding method. Round globally, where rounding per line in 5 digits and then round again in 2 digit globally. Round per line, where rounding per line in 2 digits.